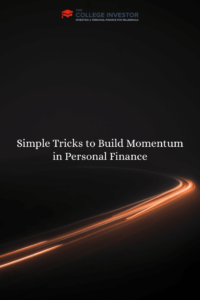 Improving your personal finances is all about building momentum. Whether you’ve thought about it or not, momentum is what drives financial success. Just like anything in life, taking the first steps are the hardest — whether it is paying off debt, building an emergency fund, or even starting to save for retirement. You start, and it feels like you’re getting nowhere . . . The trick is building upon your momentum. For whatever reason, you got the courage to step up and do it. But you can’t give up after the first step. 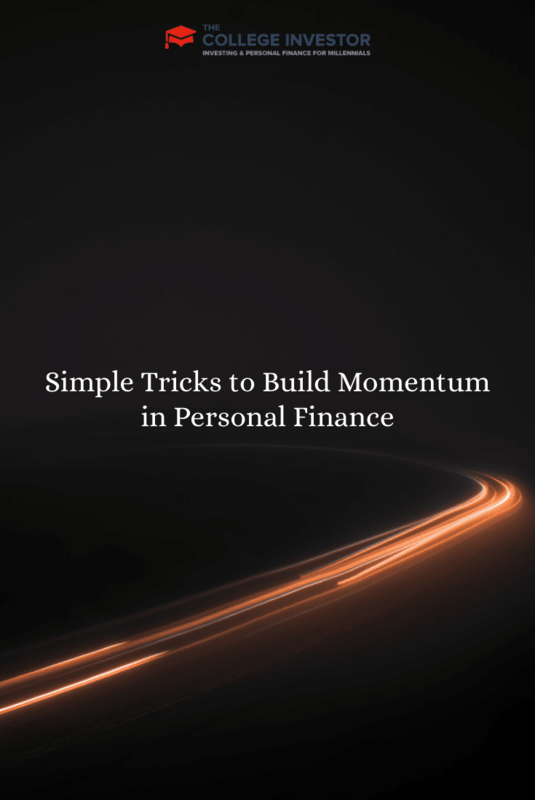 Here are some simple tricks to build momentum in personal finance, regardless of what your personal finance goal is. Studies have proven that three is the magic number when creating a to-do list of activities to get going. If you’re looking to build momentum, stick to no more than three activities to focus on. This will help you keep your goals attainable, and not let you get burned out. A long list is daunting and impractical, and will make your money rather depressing. Identify $50 you can commit to your debt. Start small. Once you’ve mastered that routine, you can remake a new list with different items to help you get to your goals. Remember, you have to do something about 30 times before it becomes a habit. The trick is to establish a solid routine as quickly as possible, and correct your course if you mis-step. Using the example above, you want to leverage your list to build your routine. In the case of paying off debt, it can be making your debt payments on time each month. Maybe each month you go through your budget template, identify the amount you can pay, and then pay it. By doing this each month, you build a routine and positive momentum toward your goals. The hardest part of building momentum is that you can’t always see the end of the path when you start walking. If you have $2,000 in debt, and you make your first $50 payment, $1,950 still feels like $2,000. That is where milestones become so useful. Give yourself achievable goals, such as being at $1,900 after two months! That follows your routine, and gives you something solid to look forward to. Every milestone can be different, but it is important to break down a big project into little goals so that you get physiological rewards along the way and continue to stay engaged. Once you’ve gained a little momentum, you can let it work for you! Momentum is powerful, but you still need to hold up your end of the bargain. Focus on the zen of budgeting and live without excuses. Have acceptance for what you’ve done and where you are going! Ride the momentum and achieve success! Planning milestones is a huge key to success. It lets you celebrate achievements along the way because often the bigger goal takes a lot of time, which can leave people to lose interest. Breaking a big goal into smaller goals can carry momentum in a big way. It’s important to celebrate along the way so you don’t get burnt out. Setting goals has been huge for us; while we don’t just stick to 3, I’ve noticed that setting some solid goals (and being motivated to accomplish them) is the first place we start and it’s what gets us excited to make progress. Once that is done, then we focus on the rest of those steps and the momentum mounts. It’s a pretty fun feeling. Small goals are the most effective for anything in life. By reaching these you really build on momentum and you tend to work even harder towards the bigger picture goal. Rewarding yourself along the way is key. I have seen this as my parents are paying off their mortgage. Rewards and celebrations are a great way to maintain the positive momentum along the way. Great call, Robert. The psychology of budgeting is more important than the plan. keeping yourself motivated can be EXTREMELY tough, especially with large amounts of debt. K.I.S.S. is always a best practice when budgeting and setting goals if you actually want to accomplish them. I love the Keep It Simple Stupid phrase! Too often we try to go overboard with goals and priorities before we nail the basics. Once you have built momentum, meeting your financial goals does seem easier. Setting goals and establishing a routine help make gaining that momentum easier to achieve. I’ve found three to be the optimal number because it allows you to keep in manageable enough to build momentum. I never thought about negative momentum holding you back…thanks for sharing! Dreaming to become debt-free and doing something to turn the dream into reality are good. You are taking the first step. However, keeping the habit is tough and you will need a lot of will power and discipline. Good luck to all of us! After a while, an important tenant is to NOT lose money. If you lose 50% of your wealth, it takes a 100% increase to return to even! Planning milestones is key. In most case there are natural milestones, when looking at the overall financial strategy. This worked for me until I got to the $54000 student loan that felt like it would never end. Milestones made the time go faster.